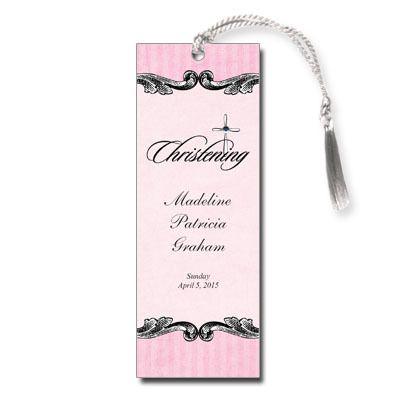 The perfect way to commemorate your child's Christening, this bookmark matches the invitation with the same fancy flourish highlighting a cross. Finished with a stick-on jewel and satin tassel. Assembly is required. Measures 2x5.5.